Our big weekend of Eldritch Moon pre-release events is almost here and we've got tons of awesome new deck boxes, sleeves, play mats, and binders for just such an occasion. 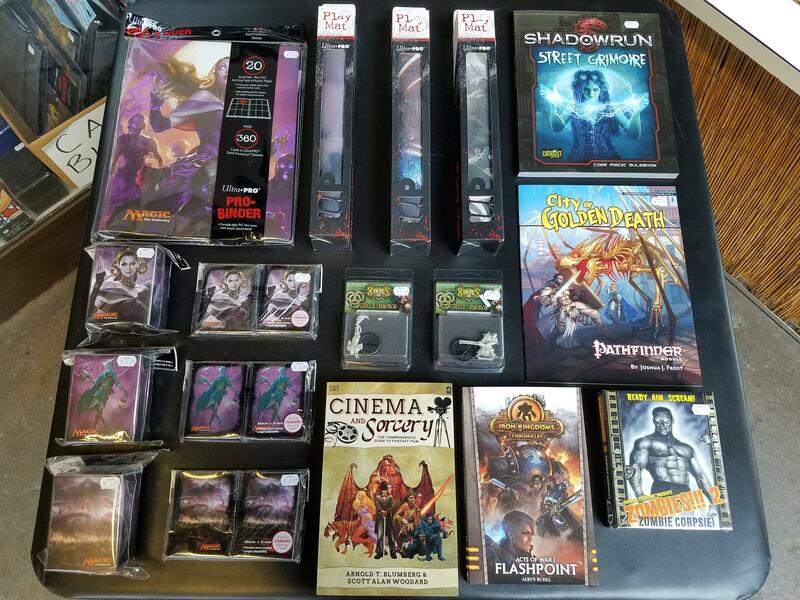 We've also received some new Hordes minis, Pathfinder and Shadowrun suppliments, and new books and novels as well. Stop by the store to check out all our new items and get kitted out for the Eldritch Moon pre-release events starting midnight tomorrow!